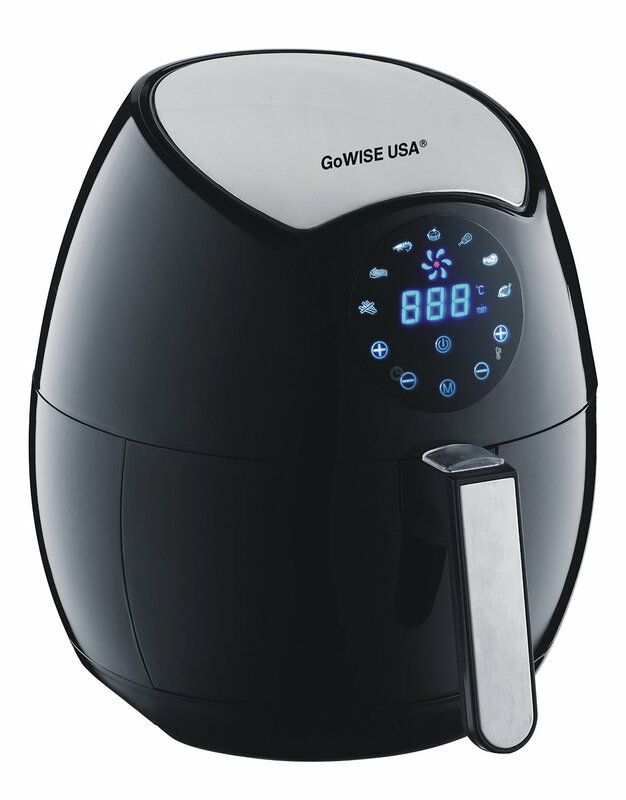 The GoWise USA GW22621 is a 4th generation electric air fryer. Air fryers have really been gaining a lot of popularity lately. This is most likely because health conscious people, like you and me, still want that irreplaceable fried food taste minus all of the negative health consequences. I’m always a bit skeptical when it comes to healthy “bad” foods, like diet sodas, sugar-free ice cream, and low-carb bread. They usually don’t taste very good. I prefer to eat a wide array of foods, including, on occasion, a corned beef sandwich on rye. The foods that I know aren’t particularly good for me, I have in moderation. This works well for my family and I. Although, if this air fryer actually makes great tasting fried foods without so much of the added fat and bad stuff, then why not give it a shot? Below, I researched and reviewed the GoWise USA GW22621. I was most interested in the taste of the “air fried” creations using this machine. 4th Generation Air Fryer with New Features…? I first researched air fryers when I happened upon the Cozyna air fryer. I was shocked to learn how these fryers work. Hot air is rapidly circulated around all of the ingredients, cooking the food evenly. Unlike deep or pan frying, they use very little oil, in fact, some use just a tablespoon of cooking oil per batch. The GoWise brand isn’t new to the air fryer market. The 4th generation 1500-watt GoWise GW22621 is definitely an upgrade over previous models. An example of these upgrades would be the touch screen. The digital interface makes selecting your frying settings easy. 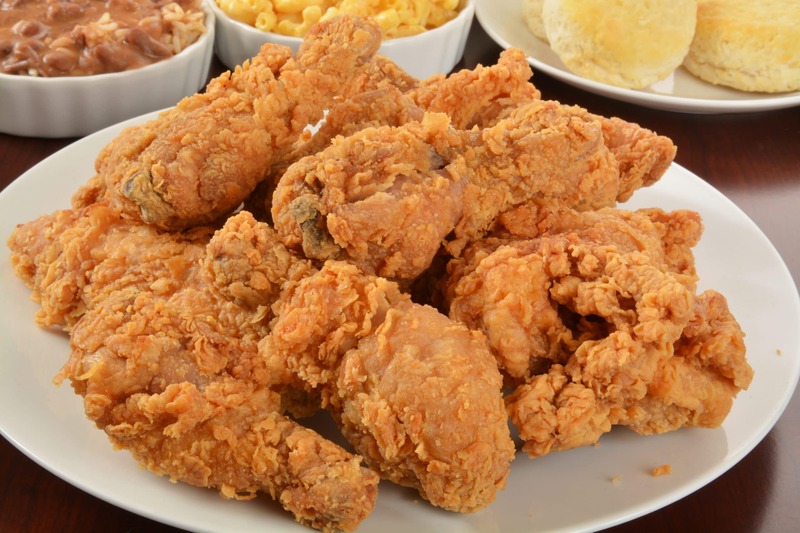 A plate of fried chicken with side dishes. 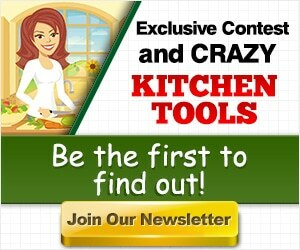 There are seven different programmed cooking options: meat, chicken, chips, steak, shrimp, and fish. There is an icon for each of these cook settings. You also have the option to program your own timed personal cooking setting. To prevent you from burning your food, the 30-minute timer has an automatic standby feature. The button guard prevents you from accidentally detaching the fryer basket while in use. The temperature range is from 175 to 400 degrees. This allows you to fry a wide range of different foods. The small size of this machine means that it will easily fit on your counter or in your cabinet when not in use. Taste is the most intriguing aspect of this machine. I turned to prior generation GoWise air fryers to get an idea of how the food will taste using this machine. The GoWise GW22611 is a good example as it has a lot of customer reviews and feedback. After reading through some of the reviews, many people seem to enjoy the food cooked in the GoWise GW22611. I’ve read reviews about this machine making great tasting wings and French fries. Items like breaded zucchini didn’t turn out to well for some customers. I think it boils down to this, air fryers are a good alternative for some fried foods, but nothing can replace a true deep fryer for that real fried food taste. I think that the GoWise GW22621 is a quality air fryer. I think that it is a durable machine and I think that the risk with this appliance is minimal. It is made by a brand that has made air fryers before (this is the 4th generation). Still, you might want to try a product that has more history. Check it out below. The Avalon Bay AB-Airfryer100B is another air fryer option. With this unit, you give up a lot of the convenient features that come with the GoWise GW22621, like the touch screen. In fact, the Avalon Bay air fryer doesn’t have a screen at all. Instead, it uses old-school analog dial controls. Even though this Avalon Bay model is more proven, I would go with the Gowise. It has the more updated features and it is made by a brand that has experience making air fryers. The GoWise USA GW22621 is an air fryer. Based on my research, I believe that this is a good machine. Although, you must have realistic expectations. Some food items cooked in this air fryer might be indistinguishable from their deep fried counterparts. Other foods may leave you desiring a traditional fryer. If you give this air fryer a chance, you will be rewarded with the convenient upgrades and a healthier fried food alternative.